Red Fort, Jama Masjid, Chandni Chowk, Rajghat, India Gate , Humayun's Tomb, Qutab Minar ,Iron Pillar. A drive through the Diplomatic Enclaves to see the various High Commissions, Rashtrapati Bhawan , Central Secretariat Buildings , The Parliament House. After breakfast depart Delhi for Agra arriving in the hotel by afternoon. 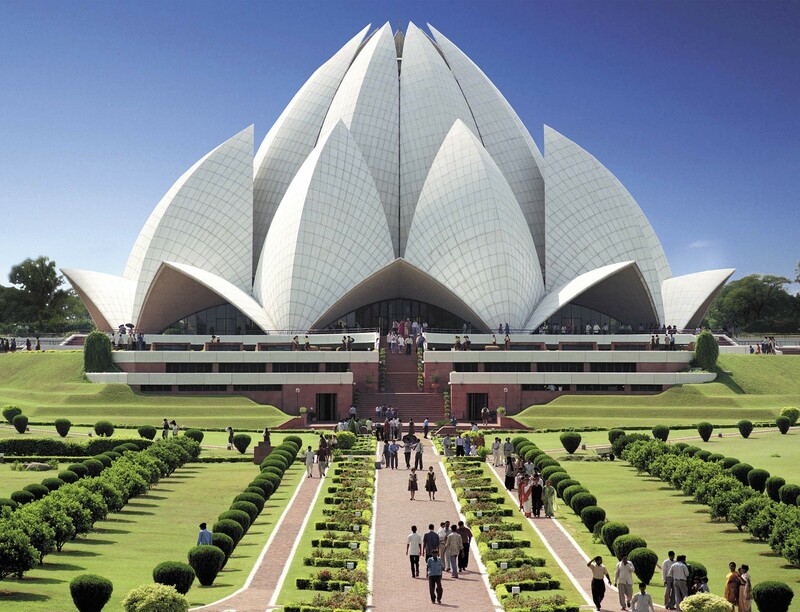 After settling down depart for sightseeing of Agra city by visiting:-Taj Mahal, Agra Fort ,Tomb of Itmad-ud-Daulah . Agra: Once a magnificent Mughal Capital and is renowned for the Taj Mahal, one of the seven wonders of the world. Fatehpur Sikri: designed by King Akbar as his capital, the city was lived-in for only a very few years - between 1570 and 1586. It is a beautiful architectural city built of red sand stone, which is now deserted. Early in the morning Jeep Ride (Seat in a Jeep/Canter) into the jungle to view the wildlife. Return to hotel for breakfast. After breakfast depart Jaipur for Bikaner arriving in Hotel by afternoon. Bikaner: A challenge to the inexorable forces of nature. Proud and strangely, its imposing battlements hold back the bleak barrenness of the Great Thar. In the afternoon sightseeing of Bikaner City visiting:-Junagarh Fort , Lallgarh Palace. In the evening visit Camel Breeding Farm where you will have an opportunity to drink the female Camel milk. After breakfast depart Bikaner for Jaisalmer arriving in Hotel late in the afternoon. Jaisalmer : A border city has a steeped in valour and chivalry. Even today its people live within the fortress as they have done for 800 years. The main street winds past fantastically carved haveli's, the mansions of Rajput aristocracy, which display the traditional architectural skills of Rajasthani balconies, windows, caves andall are touched with delicate carving and latticed screens. At every corner of the twisting street you see these elaborate sand stone facades. 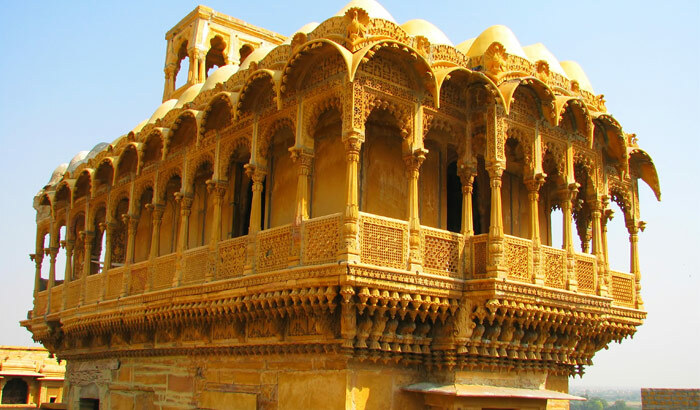 After breakfast sightseeing tour of Jaisalmer City visiting: Sonar Kila, Fort, Gadisagar Tank, Jain Temples, Patwon Ki Haveli , Ramdeora Salim Singh Ki Haveli. After sightseeing of Jaisalmer city return to Hotel. In the evening visit Sand Sun Dunes. After breakfast depart Jaisalmer for Jodhpur arriving in Hotel. 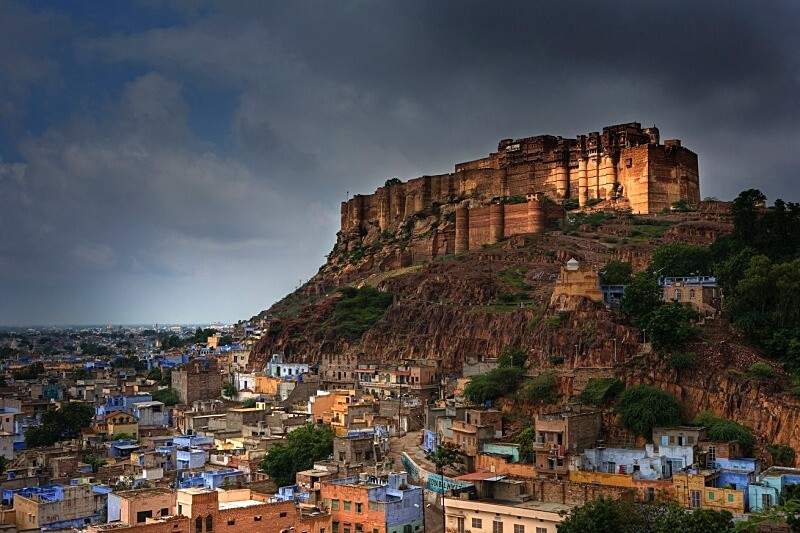 Jodhpur: The former capital of Marwar state was founded in 1459 by Rao Jodha who claimed descent from Lord Rama (the hero of the epic Ramayana). Village Safari Tour :- It is a memorable outing in Jeep/Tonga visiting villages of Bishnoi, who are the protectors of wild life and trees and also see along the way men -women in colourful attire and plenty of wildlife such as peacocks, chincars Black buck, partridge etc. Return via villages seeing local handicrafts like shoe makers ,potters and hand weaving etc. 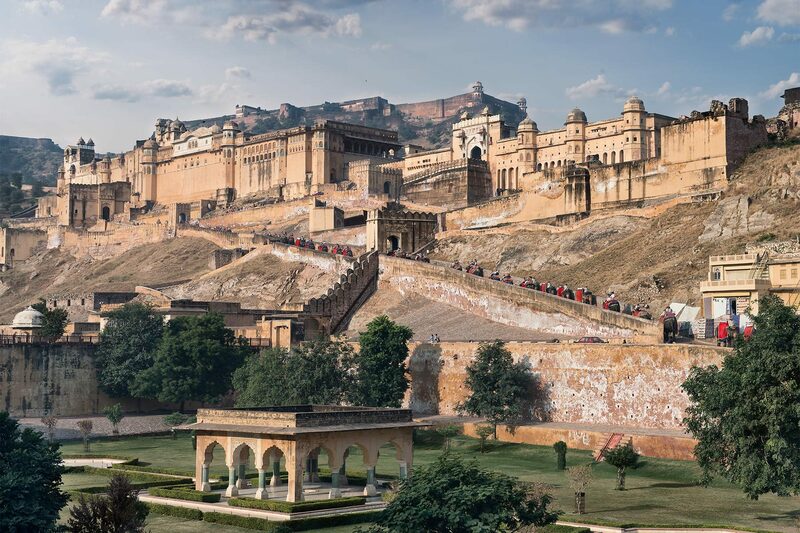 In the afternoon sightseeing tour of Jodhpur City visiting: Mandore Garden, Balsamand Lake Gardens, Jodhpur fort, Royal Palaces, Armoury, Public Gardens, Kunj Bihari, Maha Mandir Temples Etc. After breakfast depart Jodhpur for Udaipur visiting en route to visit Ranakpur Temple. Ranakpur Jain Temples: Located 96kms from Udaipur is one of the five main holy places of the Jains. Although over 500 years old, these temples are well preserved almost in perfect condition. After visiting Ranakpur drive straight to Udaipur arriving in Hotel. Udaipur:- Famous as the City of Sunrise¹ which is one of the most beautiful, picturesque and romantic cities of India situated in a delightful natural setting its manifold attraction include enchanting blue lakes, marble palaces, luxurious gardens and old temples. After breakfast sightseeing of Udaipur City visiting. The City Palace Museum, Jagdish Temple, Sahelion Ki-Bari, Jagdish Smarak, Bhartiya Lok Kala Mandal. 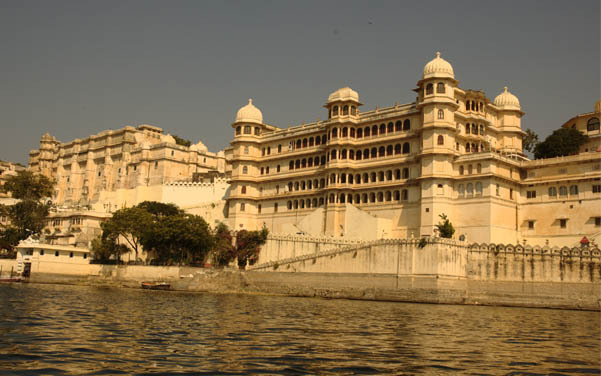 Jag Niwas - Lake Palace: better known as Lake Palace which is built on one of the islands of Lake Pichola and served as a summer residence of the former rulers. Its balconies and windows overlook the lake. Jag Mandir Palace: is also on an island of Lake Pichola, is said to have been built by Maharana Karan Singh as a retreat for his friend Prince Khurram, who later became Emperor Shah Jahan. After breakfast depart Udaipur for Pushkar, arriving in Hotel by noon. 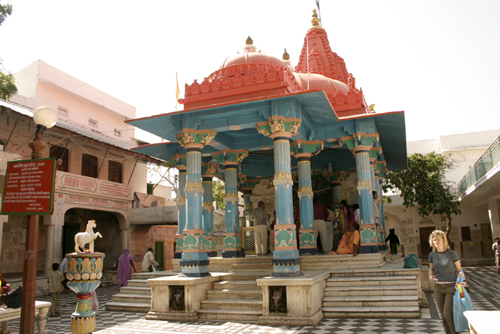 In the afternoon sightseeing of Pushkar City visiting: Brahma Temple, Pushkar Lake. Day 17 Morning transfer to the International airport for flight back home.